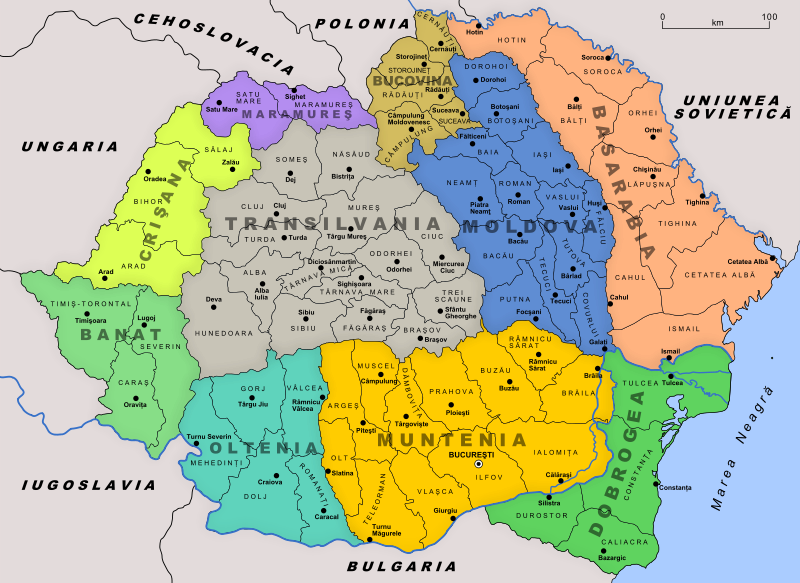 In the wake of Romania’s swift territorial concessions of Bes­sara­bia and Northern Buko­vina to the Soviet Union, the north­western part of Transyl­vania to Hun­gary, and the south­ern part of Dobruja to Bul­garia (see map below), 47‑year‑old King Carol II ab­di­cated in favor of his 19‑year‑old son, Michael (Mihai), but not before appointing distin­guished anti-Com­munist Gen. Ion Anto­nescu to the post of prime minis­ter on this date in 1940. (The govern­ment in Bucha­rest had no way of knowing that the 1939 Molo­tov-Rib­bentrop non-aggres­sion pact had sec­retly “delivered” Bes­sa­rabia and North­ern Buko­vina to the Soviets.) 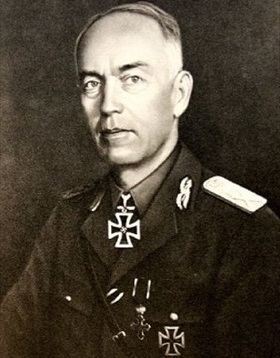 Anto­nescu, despite opposing the Ger­man-engi­neered trans­fer of por­tions of Transyl­vania to Hun­gary, in­vited German troops to move into his coun­try and train and rebuild the Roma­nian army—and safe­guard the country’s Ploiești oil fields, which had become vitally impor­tant to the Nazi war effort. On Novem­ber 23, 1940, Anto­nescu steered Roma­nia into the Axis Tripar­tite Pact (Ger­many, Italy, and Japan)—with devas­tating con­se­quences down the road. In the fighting around Stalin­grad alone (August 1942 to February 1943), the Soviets slaugh­tered two Roma­nian armies. By August 1944 the Soviet con­quest of Roma­nia had become inevi­table. Toward the end of that month, after the Axis front in North­eastern Roma­nia col­lapsed under the Soviet offen­sive, Michael joined with pro-Allied politi­cians, a number of army officers, and armed Com­mu­nist-led civili­ans in staging a suc­cess­ful coup against the pro-German Roma­nian faction of Ion Anto­nescu. Despite Ger­man efforts to restore Anto­nescu, the coup effec­tively amounted to Roma­nia’s capitu­lation and helped speed the Red Army’s ad­vance into the country. In a radio ad­dress to the nation and army, Michael issued a cease­fire, pro­claimed Roma­nia’s loyalty to the Allies, and declared war on Ger­many. An armis­tice was signed on Septem­ber 12, 1944, on terms the Soviets vir­tually dictated. Under its terms Roma­nia was placed under occu­pa­tion of the Allied forces with the Soviets, as the Allies’ repre­sentative, in con­trol of media, post and tele­phone, and civil admin­is­tra­tion. In five years of war more than 281,000 Roma­nian com­bat­ants and non­com­bat­ants were killed, 500,000 were taken prisoner by the Soviets, and 200,000 died in captivity. Above: Map of Romania in 1930. Areas ceded in June 1940 to the Soviet Union are Bes­sara­bia (rose) and Buko­vina (brown). The north­ern part of Transyl­vania (gray) reverted to Hun­gary on August 30, 1940. The south­ern part of Dobruja (Dobrogea as it appears on the map) was formally ceded to Bul­garia on Septem­ber 7, 1940. That so much terri­tory was lost without a fight shattered King Carol’s authoritarian regime. 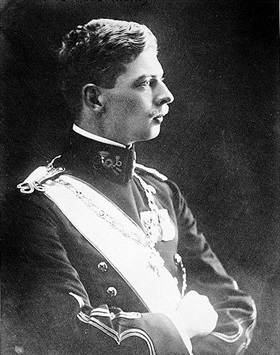 Left: King Carol II (1893–1953; reign 1930–1940). Forced under first Soviet and sub­se­quently Hun­garian, Bul­garian, and Ger­man pres­sure to sur­render parts of his king­dom to for­eign rule, authori­tarian King Carol II was ou­tmaneu­vered by the pro-Ger­man, anti-Soviet faction of Gen. Ion Anto­nescu and abdi­cated in favor of his son, Michael, the once (1927–1930) and future king (1940–1947). 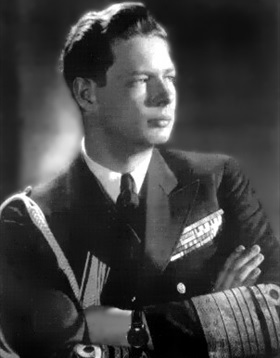 Right: King Michael I of Romania in 1947. Michael (Roma­nian, Mihai; born 1921) reigned from July 20, 1927, when he was a 6-year-old, to June 8, 1930, and again from Septem­ber 6, 1940, to Decem­ber 30, 1947, when he was forced to abdi­cate by the govern­ment con­trolled by the Communist Party of Romania. Left: Wartime photograph of Field Marshal Ion Antonescu. On Septem­ber 5, 1940, Anto­nescu became Roma­nia’s Prime Minis­ter. He traveled to Ger­many and met Adolf Hitler on eight occa­sions between June 1941 and August 1944. On August 23, 1944, King Michael I arrested him. In May 1946, the Roma­nian Com­mu­nist govern­ment pros­e­cuted Anto­nescu in a series of People’s Tribu­nals on charges of war crimes, crimes against the peace, and trea­son. He was exe­cuted by a military firing squad on June 1, 1946. 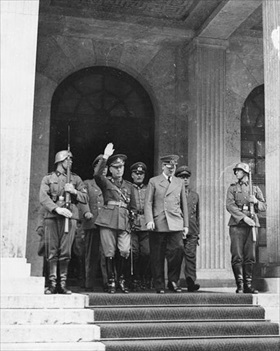 Right: Hitler’s red carpet reception of Anto­nescu for bila­teral dis­cus­sions in Munich on June 10, 1941. Behind and between the two men is Field Marshal Wil­helm Kei­tel, Supreme Com­man­der of the Ger­man Armed Forces (Chef des Ober­kom­mandos der Wehr­macht). To Keitel’s left is Ger­man Foreign Minister Joachim von Ribben­trop, co-signer of the notorious Molotov-Ribbentrop Pact.